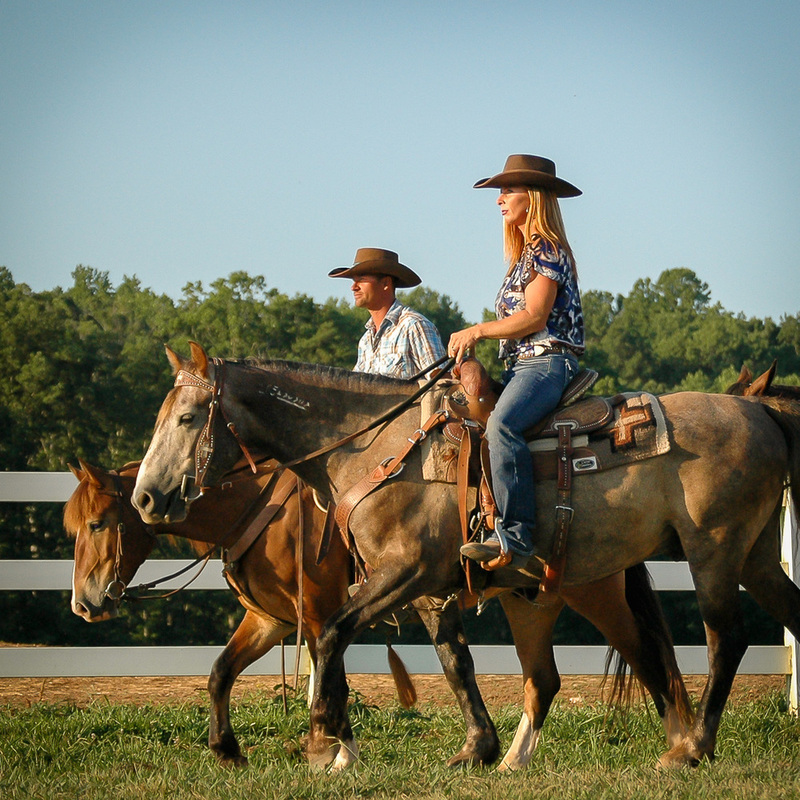 Brock Griffith Horsemanship is based in Denton NC specializing in Rough Stock Horse training and Colt starting. 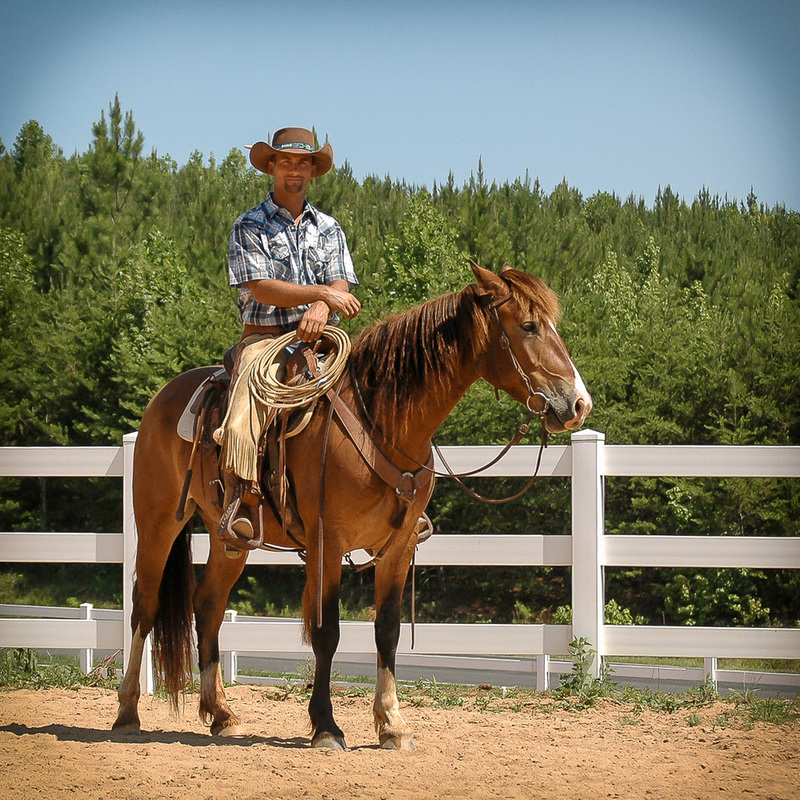 Brock operates a beautiful equine facility on a 25 acre tract of land. 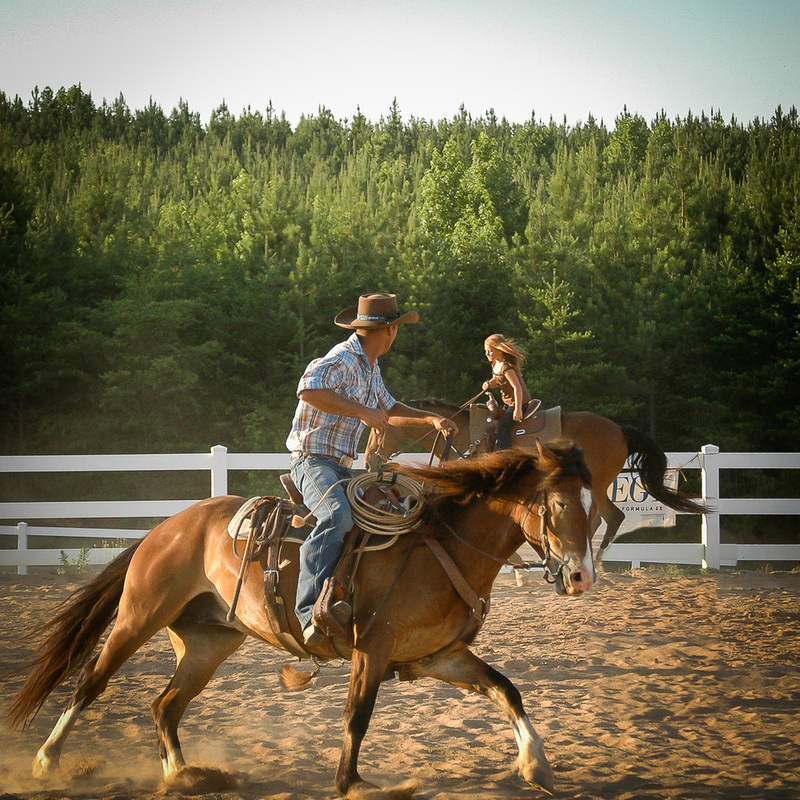 He has won multiple competitions in horse training and colt starting. The challenge in creating outdoor educational material with live stock lies in the predictability of animal behavior and changing weather conditions. For this projects we spent one day in the field and over three weeks in post production. Following the DVD production we needed to shoot an introduction clip for the website to promote the instructional DVD. The final clip is a mix of face-on introduction and sneak peaks into sections taken from the finished DVD. We developed an brand new responsive website. 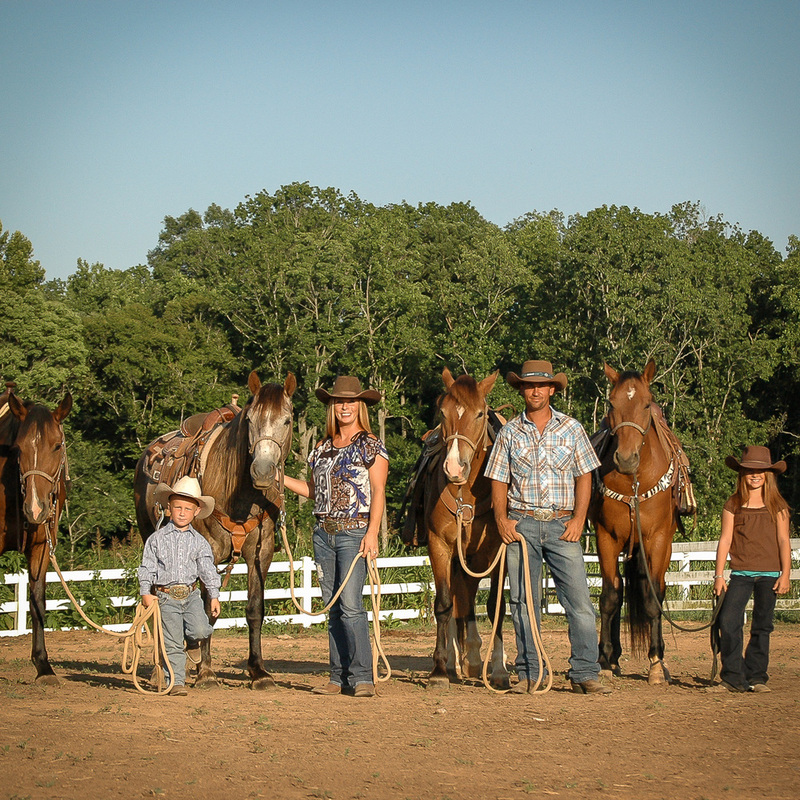 In order to showcase the stunning beauty of Brock Griffith Horsemanships ranch and horses, we set out for several photo shoots and took thousands of photos. These photos were condensed to the very best and a lot of hours went into cleaning and polishing the images, as you can image that horses don't clean up after themselves. To get those remaining horse apples disappear, a great portion of Adobe's Photoshop and Lightroom were used. 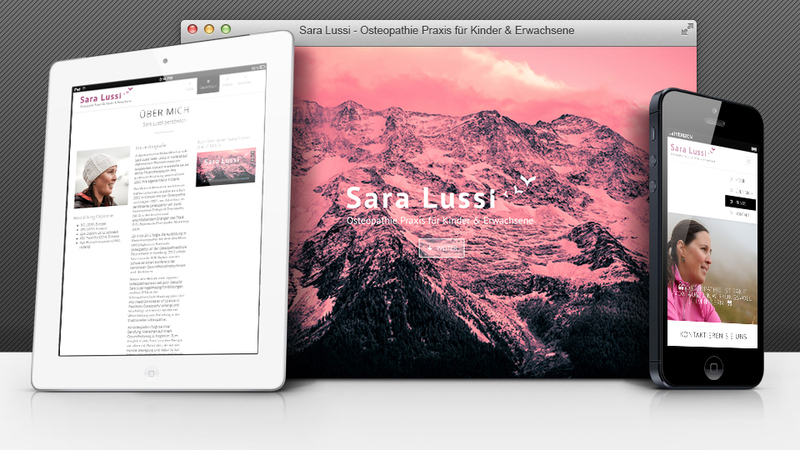 Located in Switzerland, Sara Lussi is a practitioner of Ostepathy, which is an alternative treatment method. Roughly said, the treatment focused on activating the body's self-healing power. 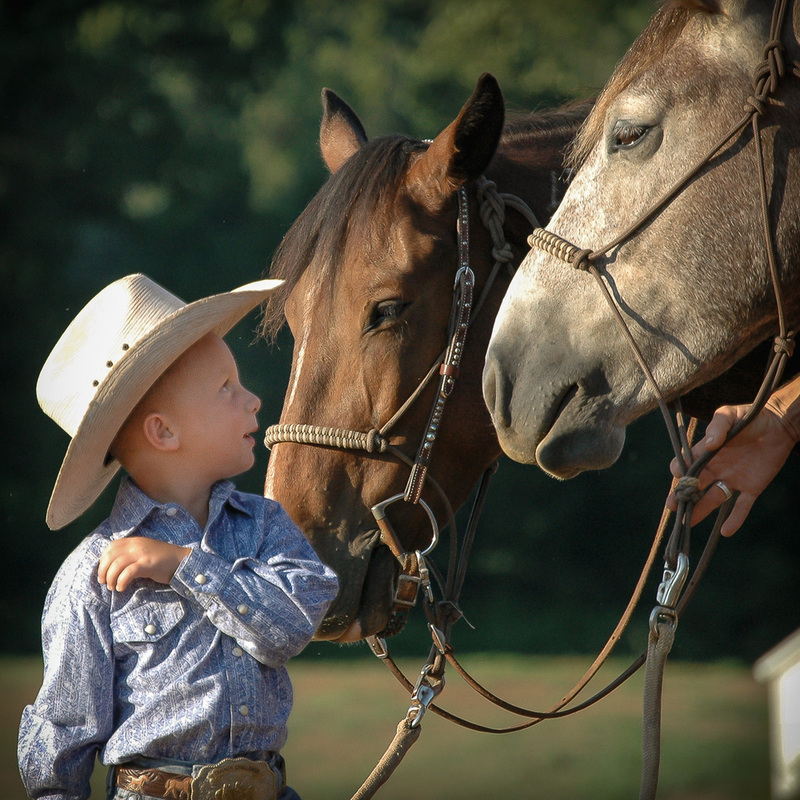 She has a track record of helping people, animals and most of all children and babies. Just like her treatment Sara Lussi is soft spoken and was not all to eager on pushy self-promotion. After several conversations and some thoughts, she let us put together a package to publicly describe her, her business and services. After failing with the first attempt of shooting in the stereotypical praxis setting, we suggested to move to another location. We suggested to go to the location where she gains her energy for her treatments, re-fuels and finds peace and rest. 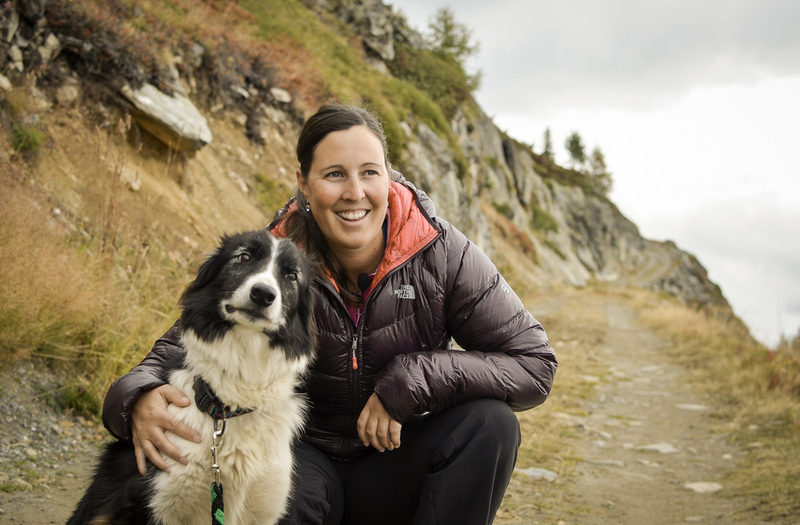 We ended up shooting in the mountains of Lötschental and were able to create this nice piece about her as a person. The shot and interview process took three days - we allowed enough time for retreat and just being in this beautiful outdoor setting. We think the that relaxation and energy shows in the clip beautifully. The site is kept simple and fresh, with only the relevant information. An interesting fact is, that the entire color scheme was driven by the color of Sara's clothing in the film clip. Does a health practitioner really need a logo? Yes, we believe so, but it needs to be created carefully and be very subtle in appearance. The development of Sara Lussi's logo was a long journey. It's easy to fall into stereotypical symbols - we are very happy with the outcome of this logo, the birds rising up out of the letter "i" portrays some lightness that you may experience after treatment by Sara. The logo also needs to be easy to incorporate in all kinds of graphical containers. To the left we're showcasing a business card where you can see the added little square with one of the birdies as the most minimalistic symbol for the name Sara Lussi. Websites require a strong set of photos. For Sara Lussi's website we only needed a few good shots. These were taken with in the three day production, we've added a few that can't be seen on the live website. But as a production company we love to share a few shots from "behind the scenes". 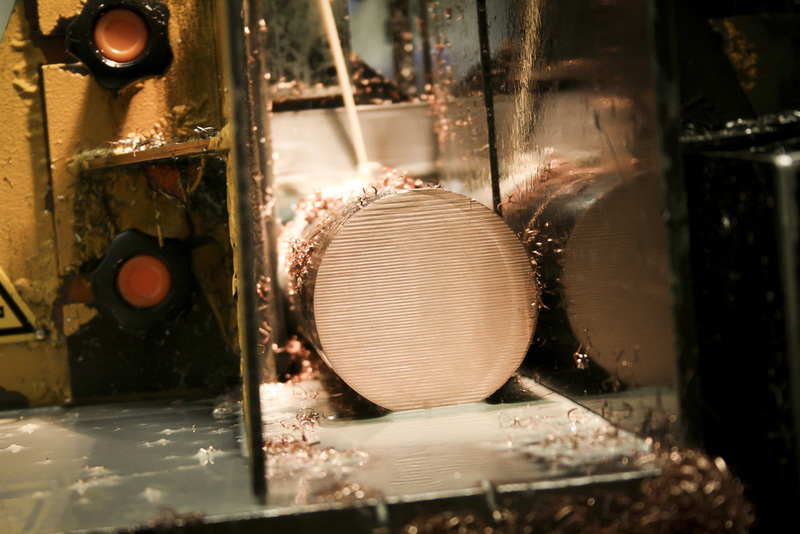 Tepros is modern machine shop specializing in precision machine parts produced on CNC lathes and mills. 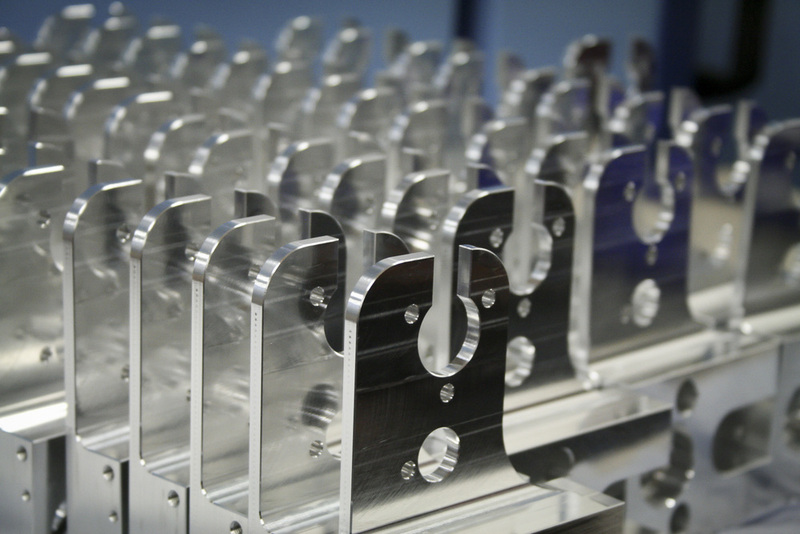 The company produces parts that can be found in equipment all over the world. 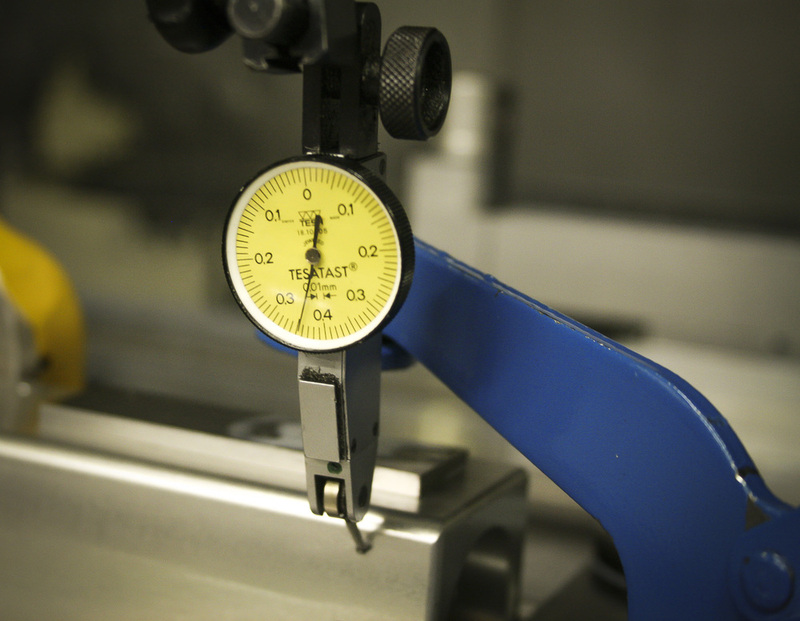 Key factor for the success of Tepros is their passionate and close collaboration with customers to find and develop solutions within time, quality and budget restraints. This film clip is driven by the personality of CEO Alex Friedrich, who lets the passion for his company, the employees and clients shine through. 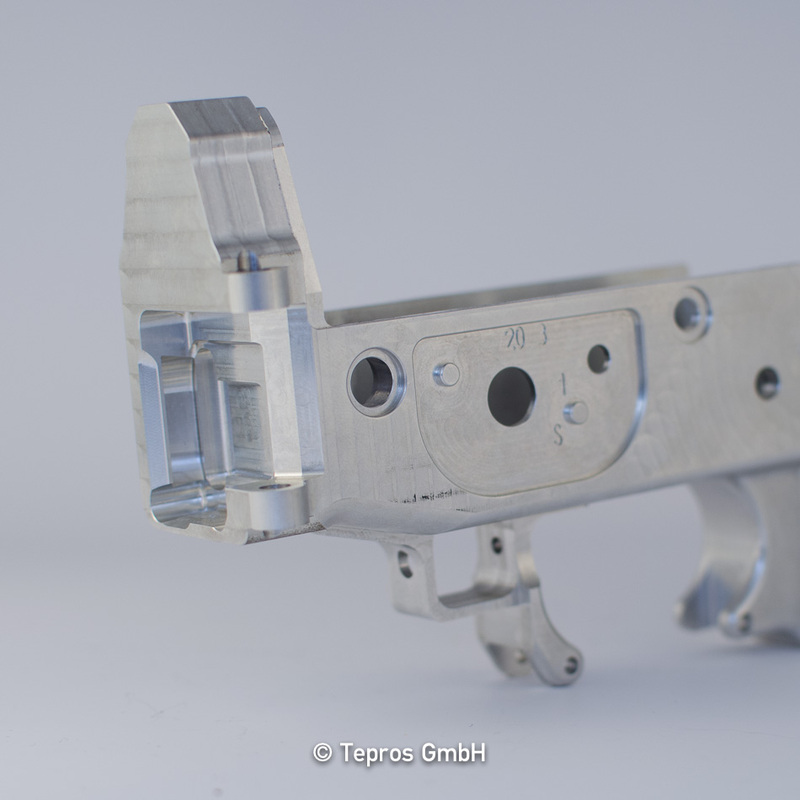 Tepros manufactures hundreds of different parts - they are all incredible beautiful. When you hold them in your hand you can't help being amazed by the complexity they reflect and the craftsmanship they require to be produced. Taking photos of shiny parts is a challenge on it's own. We placed over 100 parts in a white dome tent to control reflections. Unfortunately larger parts, such as seat constructions for rescue helicopter would fit, but there is a glimpse at that part in the introduction film clip. Just for the fun of it, here some random photos from a stroll though the production facilities. Blue Ridge Engineering is a North Wilkesboro NC based engineering firm. They focus on Professional land development and have built an impressive roster of clients such as Lowe's Hard, Chick-fil-A, Nationwide, Sprint, Pizza Hut, John Deere just to name a few. As a full service engineering company their core strength is to provide all major engineering services in house, which streamlines the development process in huge amounts and produces fast and successful projects.